. @TWaynes_15 is probable to return (arm). Waynes was playing well before he went out but Wilson will spend the rest of today going at Robinson if he stays in. Hold on tight, folks. Waynes has an arm injury and his return is probable. I would say it's more necessary than anything, as long as it's not broken. 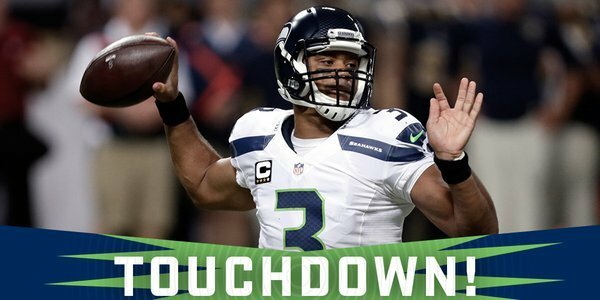 #TOUCHDOWN SEAHAWKS! 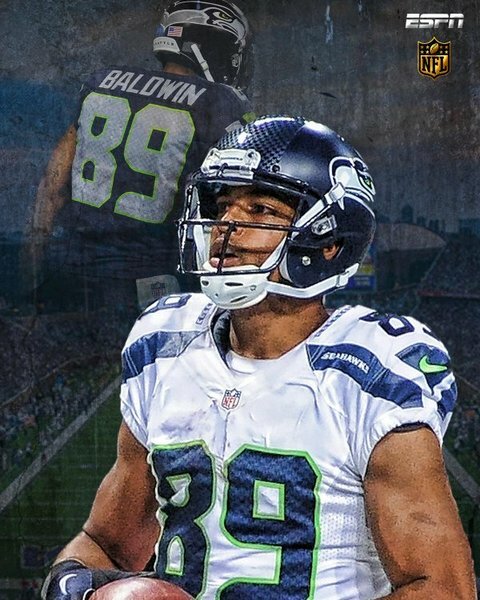 Bad men getting their scoring on @DangeRussWilson to @DougBaldwinJr . Time for your man Teddy to make a play, Purple Faithful. Adrian Peterson makes the catch and then fumbles. 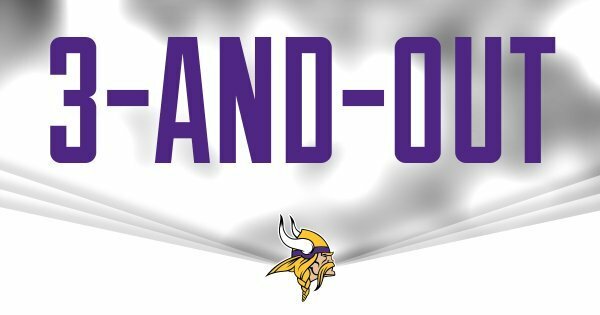 Consecutive throws to Peterson, and the second ends in a fumble. #Vikings ' defense back on at own 40. Seattle recovers the fumble and takes over at the #Vikings 40. 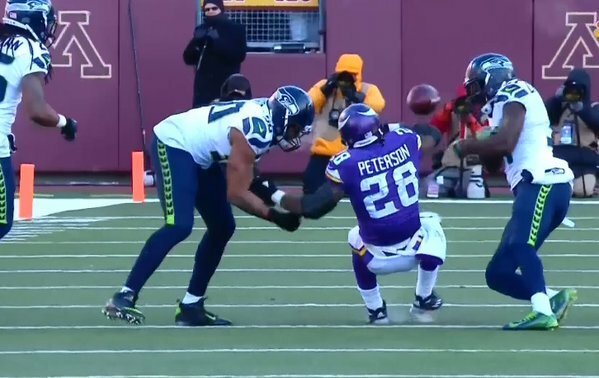 Adrian Peterson, this year's rushing leader, loses the ball in a big game. Nice strip by @Kam_Chancellor and a recovery by Big Tuba! Trae Waynes is back in at left cornerback. Worth noting in a one-score game, the wind is in the Seahawks' favor for the fourth quarter. Only Russell Wilson could take a botched snap and sure-fire 20-yard loss.. Incomplete pass on third down and Seattle attempts a 46-yard FG. Seattle takes 10-9 lead after 46-yard FG. Steven Hauschka's FG is GOOD from 46. 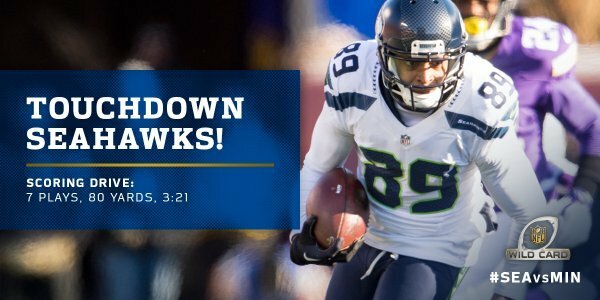 Seahawks lead for the first time 10-9 on a @StevenHauschka #FieldGoal !!! #Seahawks take 10-9 lead as #Vikings trail for the first time. Peterson fumble, Wilson heroics have turned this one around quickly. If you were to submit a story line that Peterson fumbles in a key situation in a huge game it would be rejected as cliched and unoriginal. This is a hellacious, snot-nosed game of pigskin. Warriors on both sides.
.@ceeflashpee84 's return takes the #Vikings to their 32 to start the drive. 7:55 left on the clock here at TCF Bank Stadium and Vikings down by one point with the ball at their own 32. Pressure? What pressure? Adrian Peterson's fumble was his fourth lost this season. 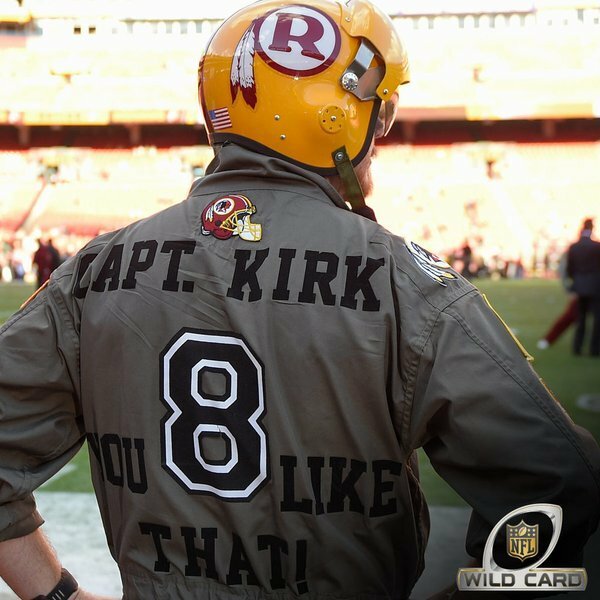 He had had just six giveaways since 2009 before this year. DE Michael Bennett down for Seattle. Look like McKinnon and Clemmings allowed pressure on that Bridgewater sack. Nothing's over until we decide it is.. Playing the results, but the play action has to be first down not on second after you lose yardage.